For Christmas this year, I was given some new CDs. So what, you may ask? The difference this year is that it’s usually my husband asking for new CDs while I stick to what’s already on my iPod (not that surprising considering that musical listening habits change throughout adulthood). This year, however, I had asked for CDs from artists I’d heard at the EFG London Jazz Festival 2015 and have been listening to them on repeat ever since. Today’s blog, then, is about festivals as sites for sharing and sharing new music with family and friends, both on- and off-site. Two of my most enjoyable gigs at the EFG London Jazz Festival were the Gilles Peterson presented gig with GoGo Penguin and Kamasi Washington at the Barbican on Saturday 14th November, and Moon Hooch at Leyton Town Hall on Saturday 21st November (see previous blog post on The Streets event in which Moon Hooch performed). Two weeks after the gig, at home with my husband in Oxford, enjoying a log fire and glass of cider, I put on the Moon Hooch album, accessed via Bandcamp and streamed directly via my laptop and a cable through my stereo system. After this, I played the live recording of the GoGo Penguin and Kamasi Washington gig via the BBC iPlayer (Kamasi’s full set available at the Boiler Room). As well as enjoying the music myself, I really enjoyed seeing and hearing my husband get into it and being able to discuss and enjoy the music with him – he wasn’t at the gigs themselves, but I had spoken about them to him previously. I have also been evangelical in telling my friends all about these exciting new (for me) artists, even going so far as to recommend to another festival promoter via Twitter that they book them. Well, [the London Jazz Festival has] enabled me to introduce some other people to jazz, for example. I’ve brought people – partners and what have you – to concerts who … I wouldn’t want to be as dramatic as to say that it’s changed their lives, but clearly it has moved them in a way and to an extent that they didn’t expect (Male, 61 years old, Barbican, 22/11/15). Growing audiences is always key for me, both as the manager of a band and as a jazz promoter in the north of England, so anything that helps grow new jazz audiences, not just the same people going to the same gigs over and over again, so other people discovering new music – young, original music, which is what this band do – is to be applauded. 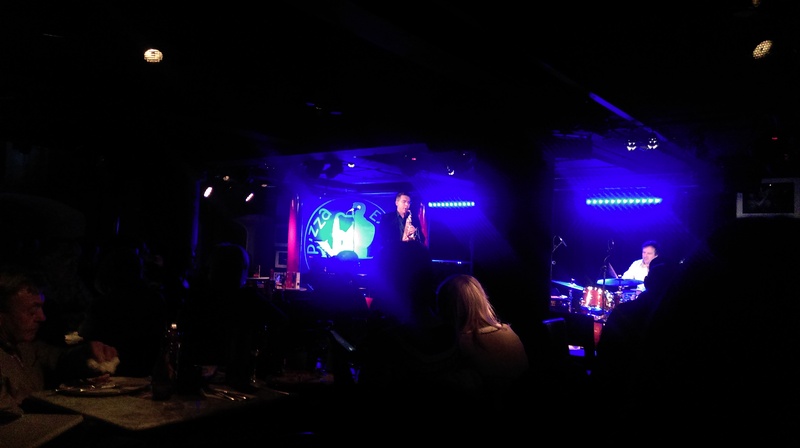 Yeah, long may it continue … The more promotion the better (Male, Pizza Express Live – Jazz Club Soho, 17/11/15). On the same day as an absolute disaster of a gig that we actually walked out of … we bought £10 tickets for a band we’d never heard of – Jonathan Silk, a group of young musicians, about 25, 26 years of age – that were just astonishing. So you can’t always tell. Sometimes it’s a bit of a lottery: a gamble on the one and lost, but made up for really well with the Jonathan Silk Ensemble; it was great (Male, 59 years old, Cadogan Hall, 17/11/15). I think when there’s a festival audience, whether people are there for a day or there for a weekend or a long time, they’re far more open-minded about what they want to see, so they’ll get the chance to discover the [artist] and that’s the beauty of festivals for us. [EW: Why are audiences more open-minded at festivals?] I think it’s the fact that they’re not just paying for a single event; they are minded to be there for two or three days … I mean, London Jazz Festival obviously is huge; it’s over a much longer period. But I think people are open-minded to think, ‘I’m going to be in the city for three or four days; what can I pick and choose to go and see?’ I think festival-goers are going to go, ‘You know what, I’m going to go and see a gig that’s out of the ordinary’, perhaps because they then can see what they also would normally pay for us as well (Male, Pizza Express Live – Jazz Club Soho, 17/11/15). 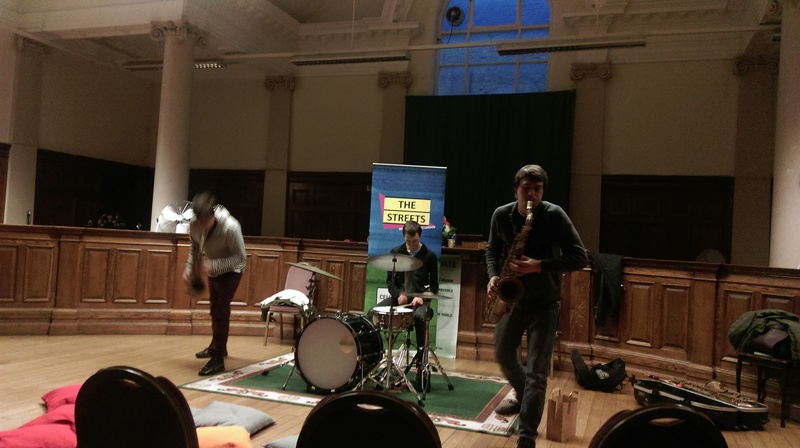 The issue of free gigs is an interesting one: on the one hand, free events allow people to experiment and discover artists they may not have heard before (cf Moon Hooch above) but there is a wider debate to be had around free gigs and the value of music, and around audience development. Based on anecdotal evidence from audience members at the Festival, some people only went to free jazz events, others only went to ticketed concerts, and some went to both. Could there be any way that free music, like free museum attendance – as suggested by the Warwick Commission report into the future of cultural value – could mean a decrease in lower socio-economic group attendance? Is there any evidence to suggest that a preponderance of free music – both recorded and live – in fact devalues (live) music and makes people less likely to pay for tickets, I wonder? As he explained, the venue can have control over all of these elements, to some extent: Engagement through marketing materials; Purchase via the ticketing experience; Anticipation through further contact before the event where appropriate; Experience by how well the promoter/venue sets up and manages the live experience itself; and Recollection through further contact after the event where appropriate (although Anticipation and Recollection are generally less controllable by the promoter/venue). 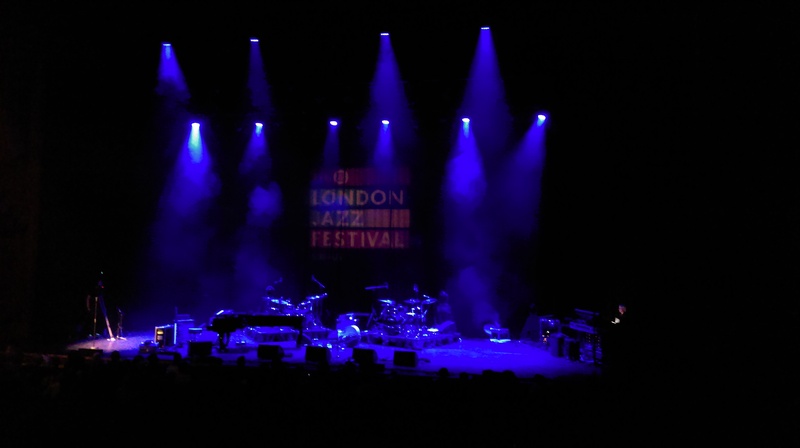 My account of the EFG London Jazz Festival gigs above deals with the Recollection part of the chain. Technology such as the BBC iPlayer and YouTube obviously makes it easier to directly recall an event if it has been recorded and then uploaded to the internet, and then makes it easier to share new discoveries with other people after the event. And while an album provides a good tool for recalling a gig, I personally prefer to have a recording of the actual gig where possible (particularly for improvised music like jazz), so that I have an ‘aural photograph’ of the event, if you like (see my previous blog post on a BBC Radio 3 recording at Ronnie Scott’s). I did try to video bits of the Moon Hooch gig, but it hampered my own enjoyment of the gig and I would have had to have videoed the whole event to do it justice. The more that festivals partners with media organisations such as the BBC, then, the more that people will be able to share (exactly the) music they have enjoyed with friends and family after the event.